Disclosure: This trip has been sponsored by the Marble Falls Chamber of Commerce, however all thoughts and opinions are my own. It’s not often that I have an opportunity to have time to myself. I can count on one hand the amount of times I didn’t stay all day in the hospital with Addie to pamper myself in all of 10 months, and generally, whenever I was offered a chance to go somewhere, I would decline because I didn’t want to leave my baby by herself in the hospital. Now that Addie is home and Mathew works all of 3 minutes from our house, I’m able to have a little bit of freedom with my time. I have a wonderful husband who loves spending time with his girl, and he encourages me to get out and have time to myself to recharge. Staying at home by myself with Addie is not an easy task. I’ve told y’all about a day in the life of Addie and I and it gets pretty hectic. I cherish every moment of the day I get with her, but sometimes a mom has got to get out of the house for a little bit. I was so lucky to be asked by a sweet friend of mine, Penny, if I would like to take a girls trip to Marble Falls, and this was one opportunity I couldn’t pass up. 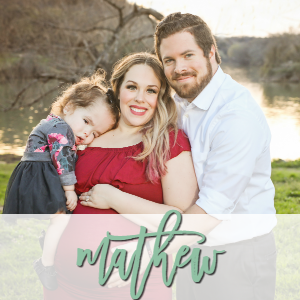 I wanted to really give you guys the best of the best there, so I came up with the top 10 things to do in Marble Falls, Texas just for you guys! 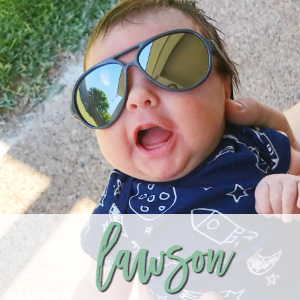 I decided to take my best friend Lauren on my girls trip because her son has some obstacles he is currently trying to overcome, and I know that she needed some time to herself as well. Lauren and I relate on a level that not many friends do, and it’s because of our marriages and our children. 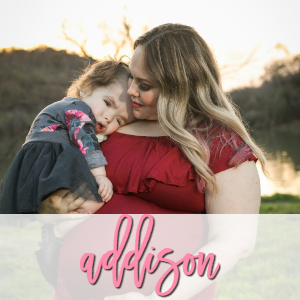 We got up early last Saturday, grabbed our Pumpkin Spice…everything, and headed out to Marble Falls to soak up some mommy time. Lauren and I quickly fell in love with Marble Falls. With lots of boutique shopping, cutesy restaurants with killer food, fun wineries and microbreweries, stunning Texas Hill Country views, and lake life, it’s kind of hard not to fall in love with it! We started our trip off at the Marble Falls Visitor Center and did so many fun things until we couldn’t anymore. 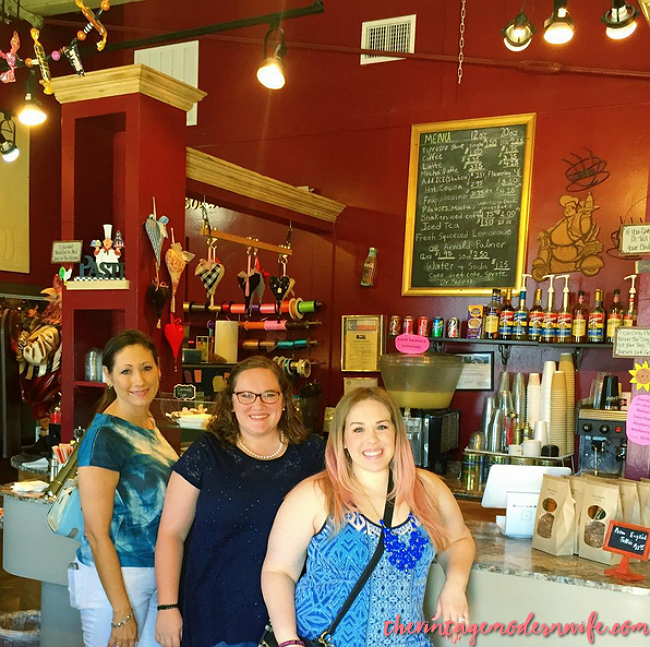 Here’s my top 10 things to do in Marble Falls, Texas that I KNOW you will love too. Shopping on Main Street. 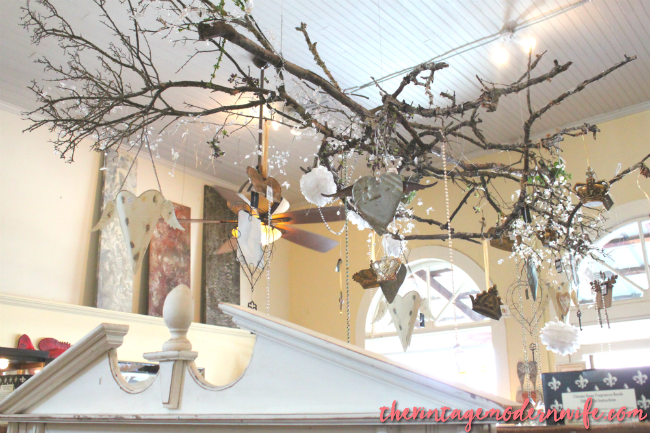 Marble Falls has THE CUTEST shops on Main Street. If you’re the shopping type, I guarantee here is the first place you’ll want to start at. Some of my favorite shops were Smartie Pantz, Elements, GG Ganache, and the Marta Stafford art gallery. 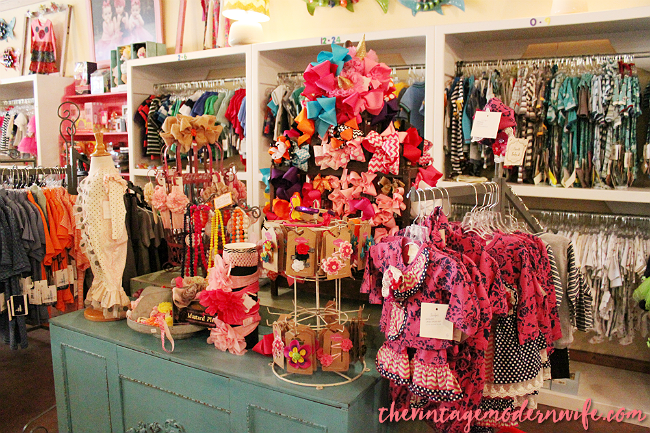 Of course, I couldn’t resist snapping a picture of these adorable clothes and bows. I wanted everything for Addie. Also, this gorgeous chandelier in Elements caught my eye. I need it! Partying it up at Market Days. 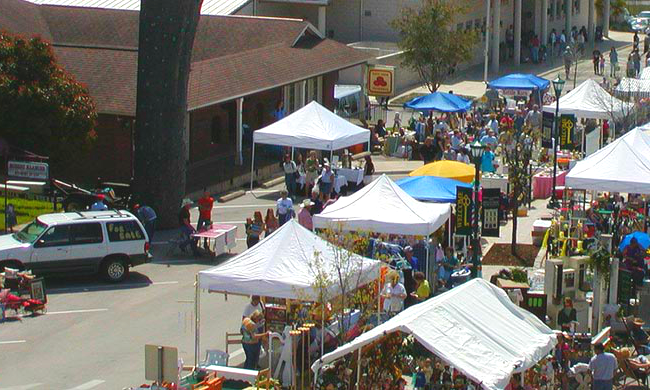 Saturday, September 19, 2015 is the Market Day in Marble Falls. There are over 100 booths that line historic Main Street with arts and crafts, furnishings, antiques, collectibles, food, and drinks. They always fall on the 2nd Saturday in March and September, so if you can’t make it to the Market Day tomorrow, head on over to Marble Falls in March. Don’t forget your wallet! Visiting Breweries. Marble Falls has not one but TWO microbreweries – Double Horn and Save the World. Double Horn is across the street from the Bluebonnet Cafe and serves a refined-casual menu alongside Texas craft beer and wines. Save the World is a philanthropic brewery (ask them about it!) that crafts artisianal Belgian ales. You can visit them for tours and tastings every Friday and Saturday. These two joints are perfect for foodies and microbrewery fans. Eating to Your Heart’s Content. Marble Falls has some outstanding eateries. I’m always a fan of trying local restaurants whenever I travel and R Bar and Grill was one place that makes me want to come back very soon. Green Chile and Queso Fries for an appetizer were the best way to start out, and the Saddle Bowl was so full of spice and cheese. Grab those when you visit them. Promise you’ll love it. We ate dinner at Forno’s on Main which gives you the option of dressing up or down for your dinner. Inside the restaurant are nice linen covered tables and dim lights, where as the outside takes you back to Margaritaville with a fun, lively covered patio. You can’t go wrong dining inside or outside! Playing at the Lake. Lake Marble Falls is where it’s at when it comes to getting in the action. There are fun water rentals available so you can paddle board, jet ski, or kayak til you can’t anymore. Make sure you take your swimsuit when you visit Marble Falls. I promise you’ll be sorry if you forget it. The lake has stunning views of the Texas Hill Country and you can truly see God’s hands at work with such gorgeous sights. There’s a reason lake life is such a big part of Marble Falls. It’s hard not to fall in love with the lake when there’s so much fun to be had. Go Berry Picking. 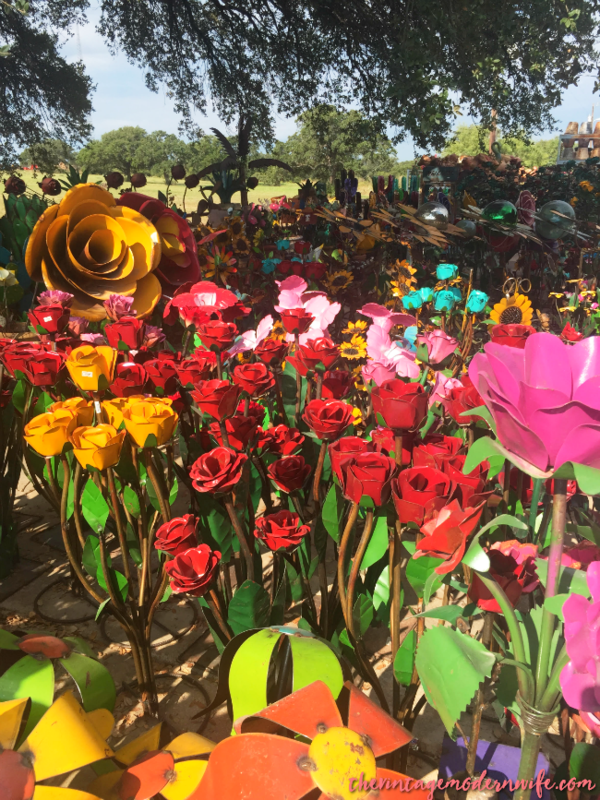 Marble Falls is home to Sweet Berry Farm, a fun place to get out with the entire family for the day. They’re only open during specific seasons, but you can catch them during berry picking season or in the Fall when it’s pumpkin season. From September 26th to November 8th, you can visit Sweet Berry Farm for a whole slew of family fun activities like hay rides, a corn field maze, painting a pumpkin, and you can end your farm time with some homemade ice cream. Kicking back at the Hampton. Admit it. Sometimes you just need to go on vacation to be a bump on a log. Being a mom of a special needs child, my life is go, go, go all the time. Lauren and I needed some moments to veg out at the hotel and let me tell you- it was amazing. The Hampton in Marble Falls was the perfect hotel for us. Big bathrooms, plush, white duvets, a lakeside view, and the most friendly staff made our stay incredibly relaxing. They also have a generous sized pool which overlooked the lake, which is perfect for someone who wants to be outdoors, but not for too long. Grab Great Gifts to Take Home. Looking for something to take home to the family? Choccolatte and It’s All Goode are the places to go. Choccolatte specializes in their oh-so-buttery Pecan English Toffee (with a recipe SO secretive, the owner’s husband won’t tell her the recipe), and It’s All Goode has a whole store dedicated to fun spices, honeys, olive oils, and all different types of fudge. You’ll want to try all the samples there, and you can, but make sure you don’t go right after you’ve eaten a big meal if you plan on doing that! Getting Lost Inside Pottery Ranch. Pottery Ranch is on your way out of town (if you’re coming back North like I was) and is the mecca for all things pottery and outdoor decor. Lauren and I spent forever there just browsing. With over 20,000 square feet of unique Texas to Tuscan furniture and home accessories, it’s easy to get lost in there for hours because there is so much stuff! They also have a petting area with two miniature donkeys, a horse, and a bunch of adorable roosters. We snagged several gifts for our family members from there because there is just TOO much fun stuff! Psst- a little secret- if you check out the Marble Falls Visitor’s Center before you go to Pottery Ranch you can snag one of their brochures. Take your brochure to Pottery Ranch and you get a free flower pot (limit one per customer)! How cool is that?! Skipping the Line At Bluebonnet Cafe. 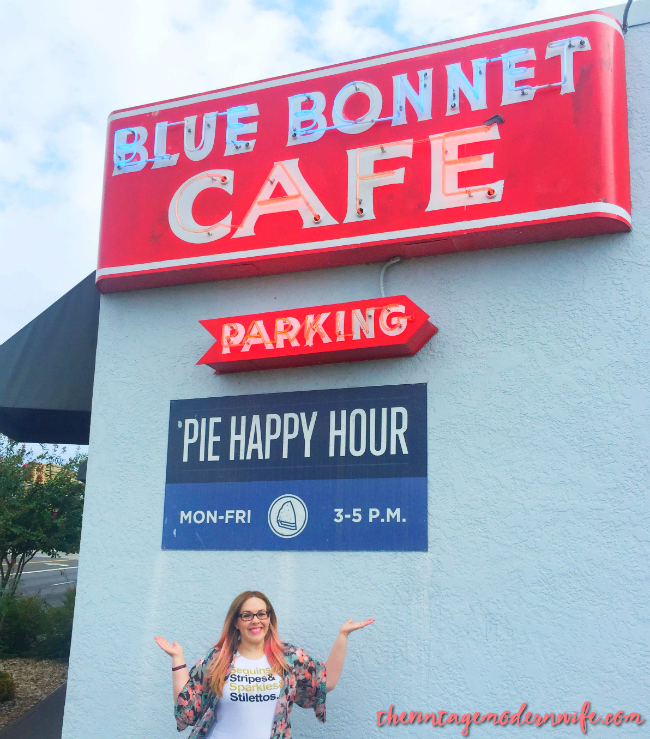 Before you leave town, you MUST check out the Bluebonnet Cafe. They’re famous for their delicious pies, and once you have a bite, you’ll know why. They also serve delicious diner-style breakfast that tastes just like mom’s cooking. With pancakes as big as the plates, buttery eggs, and crispy bacon, you’ll leave with a happy belly ready to say goodbye to good ole Marble Falls. Make sure you get there before 10 am though to skip the huge line. If you get there after 10 am, you’ll be waiting in the long line outside the restaurant. The good news is, if that happens, your meal (and pie) will still be worth the wait. There you have it-the top 10 things to do in Marble Falls, Texas. I PROMISE you will have SO much fun there. I’m already talking to Mathew about planning a family trip for the three of us to visit really soon. There is so much to do in Marble Falls despite it being a smaller town. 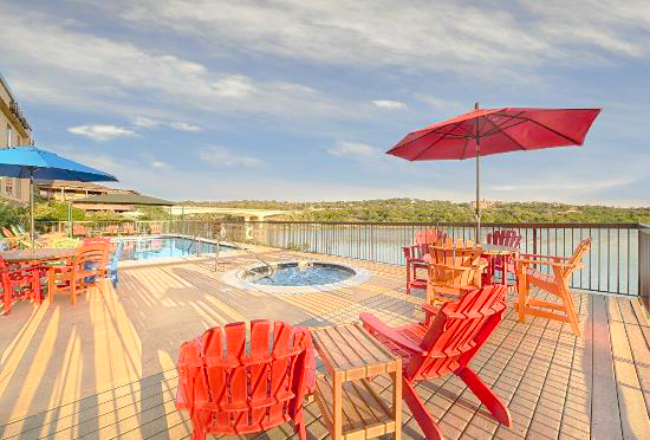 The Texas Hill Country is so inviting that you’ll be dragging yourself to leave Marble Falls. Go visit the Visitor’s Center at the Chamber of Commerce too and speak with the sweet ladies there. They’ll give you all the maps and brochures you’ll need to ensure you get the most out of your trip! Which of the top 10 things to do in Marble Falls, Texas appeals to you the most? Oooh how fun! 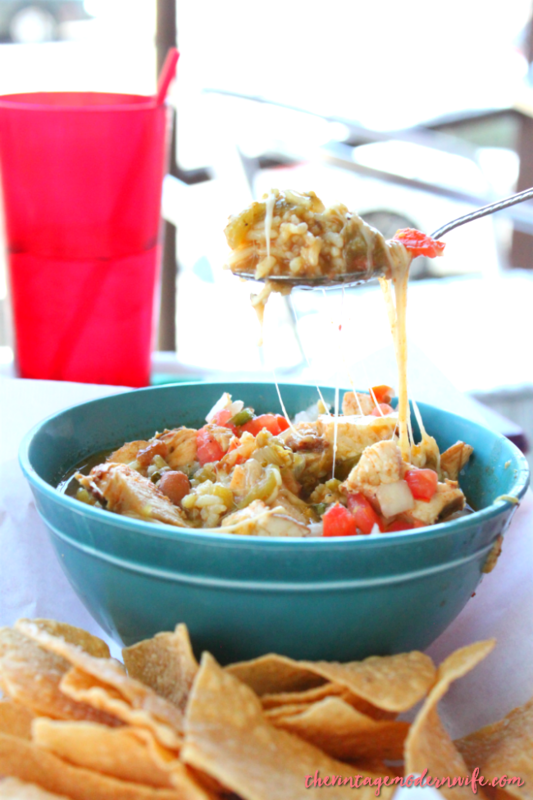 I’d love to check out the pottery ranch some time … and eat some yummy food! What a fun town! Looks amazing and that Saddle Bowl looked INCREDIBLE. Hanging out by the lake definitely appeals to me most. I love being outdoors! 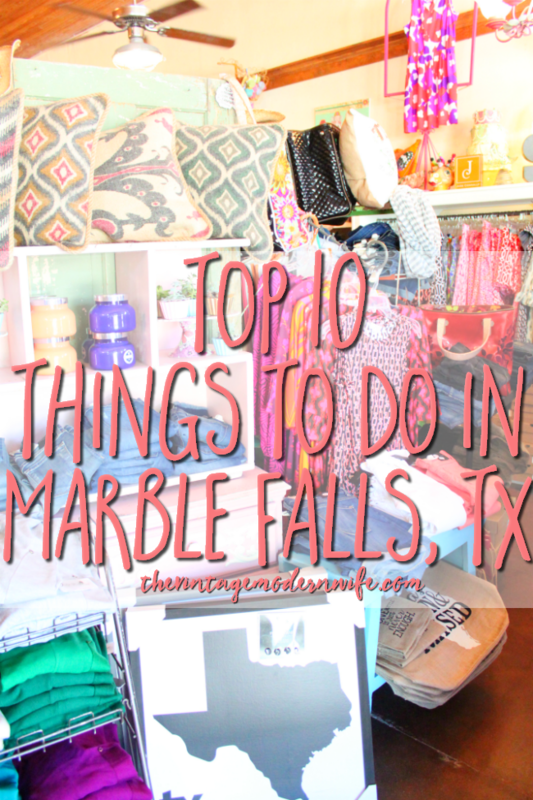 I visit Marble Falls a lot and certainly have enjoyed the top 10 you have described. I actually love staying at the LaQuinta because of the wonderful views. Also, another wonderful restaurant is Russos — they are on the hill with a wonderful view and outstanding food! This looks like such a great town! Your pics are gorgeous!!!!!! I want to go there now! Um, pie happy hour? YES PLEASE! Oooo, that sounds like fun!! We may need to make a trip there. We’ve lived in Texas our whole lives and there is so much we haven’t seen yet here! Cassie @ Beauty & The Boys recently posted…I’m Back.